25 year old Liu Chen from Harbin, Heilongjiang Province was recently crowned as the new Miss China 2011 during a pageant held last September 9 at the Fan Gong Palace in Wuxi. 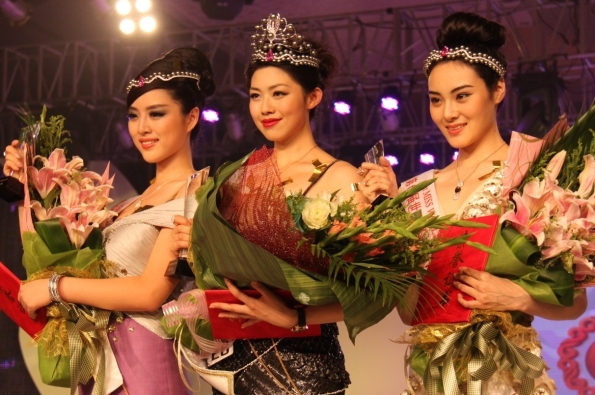 She received her crown and sash from Xiao Tang, Miss World China 2010. 1st run-up was Li Dong and the 2nd run-up was Yu Weiwei, who is also the Miss Talent Award recipient. Liu Chen stands 1.81m tall and currently a student from the Shanghai Conservatory of Music. She will represent People's Republic of China in Miss World 2011 beauty contest on November 6 in London's Earls Court in London, United Kingdom.